The Gocycle is a lightweight electric bike developed with professionals and families in mind which brings a number of style and performance firsts to city-specific two-wheelers. Gocycle’s design engineer and founder of Karbon Kinetics Limited (KKL), Richard Thorpe, cut his teeth working in lightweight vehicle design for companies such as McLaren and turned his attention to bicycles in an attempt to break the mould of conventional design – and with its lightweight magnesium alloy construction, push-button access to electric propulsion and an innovative enclosed multi-speed chain-drive, the Gocycle does just that. 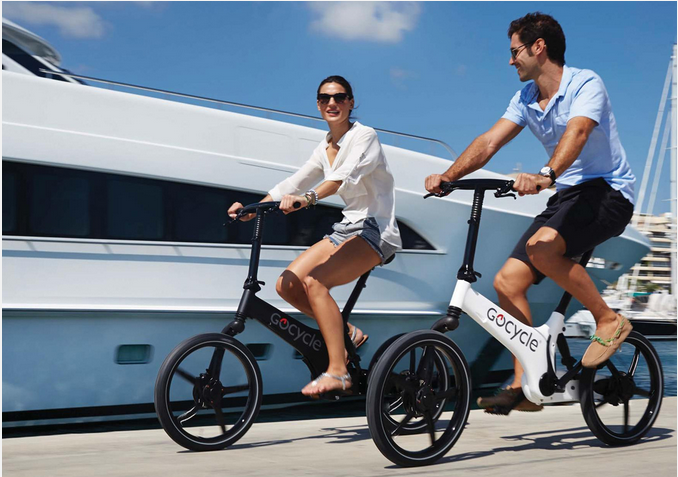 Functioning as a normal pedal powered bike, the Gocycle can switch to instant electric power at the touch of a button located on the handlebars. Its entire frame and wheels are injection-moulded in light-weight magnesium alloy in a process called Thixomoulding – a type of injection moulding for metal, which is more durable than plastic and commonly used to create magnesium casings of products such as laptops, digital cameras and mobile phones. This delivers the smooth, seamless look and performance of carbon fiber, but at one-tenth of the cost and allows the Gocycle to be produced at a much cheaper price than comparable carbon fiber bikes according to Thorpe. 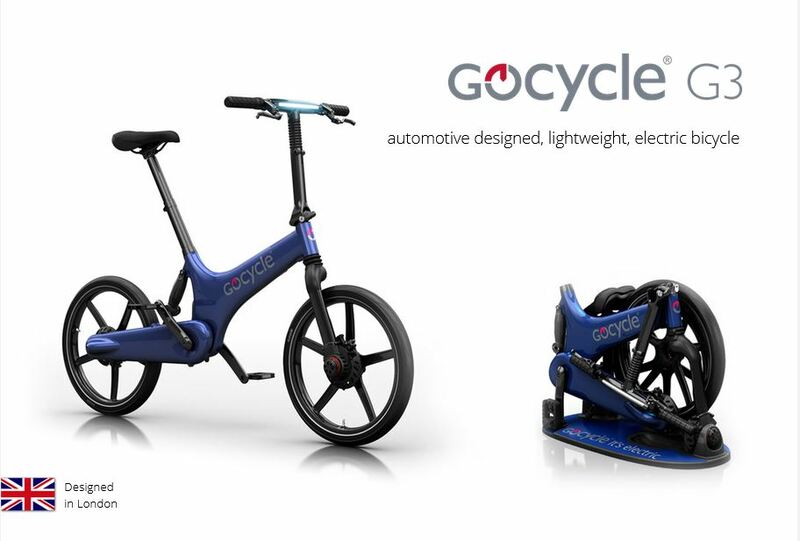 Gocycle’s electric motor and controller are packaged in the easily replaceable front motor fork assembly and the motor is hidden away in the cycle’s front hub. The rider can quickly reach 15mph and a single charge, which takes approximately three hours, will provide a travel range of up to 20 miles depending on pedal input and terrain. The Gocycle is also the world’s first production bicycle to feature a completely enclosed multi-speed chain-drive with side-mounted wheels. This patented 3-speed Cleandrive system means no grease and grime on your clothes, and the side-mounted and interchangeable PitstopWheel means fixing a flat tire is easy. ***Electric bicycle speed regulations vary by country—consult your local authority for information. ****This product has been designed with a maximum recommended weight limit of 100kg (220lbs) for the rider, clothing and all luggage, and is intended for use on paved roads. For rider and luggage weight 100-115kg (220-250lbs): riding style, road condition, tire pressures and luggage position may reduce product service life. Luggage weight should not exceed 10% of total rider and luggage weight. Never exceed rider and luggage weight of 115kg (250lbs) at any time. Exceeding this limit will void all warranties and may result in the product being unsafe for operation.